Starting a blog can be a very fun process. It’s creatively freeing since you can choose to write about just about any topic you desire. But getting readers can be a different story! If you want people to find your blog and see what you have to say, you have to take SEO into consideration. Here are three mistakes to avoid when blogging. While it might be fun to come up with a catchy and maybe even humorous title for your next blog post, if you want readers to be able to find it in their favorite search engine and then actually be encouraged to click on it, you need a good, descriptive title. Save your catchy humor for the subtitle instead! A good title tells them what it’s about or piques their interest in some way. It should include keywords to help it get ranked in relevant search result pages. 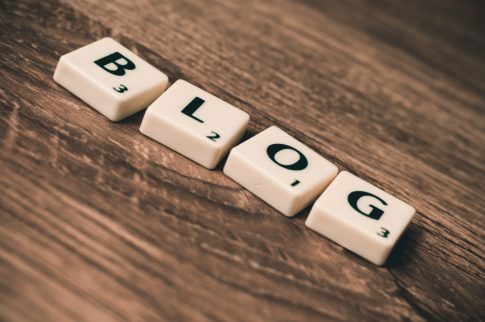 While trying to stuff too many keywords into your content can quickly lead to something that is unreadable and enjoyable to write, keywords are a big part of ranking your blog post and they need to be taken into consideration. Some keywords are going to naturally appear in your writing as you talk about a topic, but it’s ideal to do some basic keyword research when editing your blog posts and seeing where you can sneak in or perhaps swap out some phrases for some high performing keywords instead. Doing so can make a huge difference when it comes to the post’s ranking in search engines and even your blog’s overall ranking, so don’t underestimate the power of preliminary research. If you want to build a reputation, get credit when people quote you, and entice people to stick around so they can get to know you better, you absolutely have to include an author bio alongside each post. Your author bio should be linked to your social media profiles to help you build a link network to boost SEO. Your social media profiles should then link back to your blog, creating a backlink web that Google will follow! Backlinks play a big part in getting you ranked, which is why you should include this author bio and above-mentioned links every where you can be found on the internet, whether guest posting or simply forum posting on another website.